New York - January 25, 2018 – Today, the Ad Council and the Dollar General Literacy Foundation launched new public service ads (PSAs) for the national Finish Your Diploma campaign, which provides adults with the information needed to earn a high school equivalency diploma and encourages people to sign up for free adult education classes by finding nearby centers at FinishYourDiploma.org. The campaign builds on the inspirational “No One Gets a Diploma Alone” message, which inspired more than 200,000 people across the United States to find free adult education classes over the past year and features three compelling personal stories from Nia, Marco and Carissa, adults who recently earned their high school diplomas in their 20s, 30s, and 40s. The United States’ national graduation rate rose to record highs in 2017, but approximately 34 million American adults still do not have a high school diploma. On average, individuals with a high school degree can expect to earn 30 percent more than adults without a diploma over their lifetime, a difference of nearly $10,000 per year, according to 2015 U.S. Census data. Concerns over studying while balancing work obligations and supporting families are often obstacles that prevent individuals from finishing their diploma. 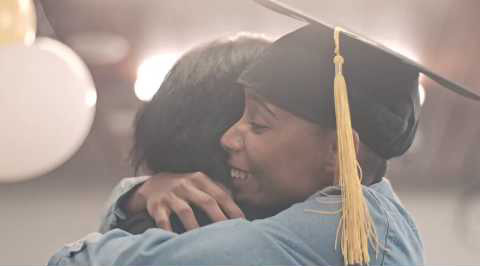 The campaign showcases graduates who received support from family, friends and teachers to attend classes and earn their diploma, recognizing and surprising a key supporter who helped them along the journey with a heartfelt thank you. The PSAs also help remind students they may have more support than they realize to earn their high school diploma, including people who want to provide them with guidance and are willing to help with anything from studying to household errands or with a ride to class to make sure they succeed. The PSAs also help remind students they may have more support than they realize on the journey to earning their high school diploma including people who want to provide them with guidance and are willing to help with anything from studying to household errands or with a ride to class to make sure they succeed. In addition to featuring three adult learners who have recently graduated with their high school diplomas, the campaign also showcases teachers at local education centers who are waiting to help students on their journey to achieving a high school equivalency diploma. 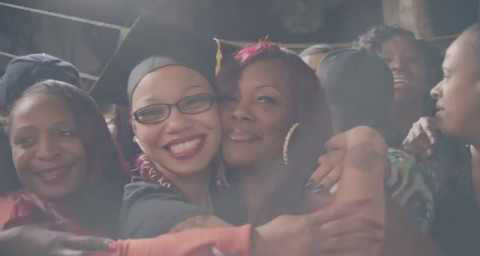 Since its inception in 2010, the Ad Council and the Dollar General Literacy Foundation’s Finish Your Diploma campaign has helped more than one million adults in all 50 states find free test-prep classes in their area, and nearly five million people have visited FinishYourDiploma.org. The campaign has received more than $159 million in donated support from the media community. Additionally, according to a survey commissioned by the Ad Council and conducted by Ipsos Public Affairs, more adults report valuing the importance of obtaining a high school diploma. The PSAs were produced pro bono by advertising agency McKinney and are available in English and Spanish and across all media types. The Dollar General Literacy Foundation is proud to support initiatives that help others improve their lives through literacy and education. Since 1993, the Foundation has awarded more than $143 million in grants to nonprofit organizations, helping more than 9 million individuals take their first steps toward literacy, a general education diploma or English proficiency. To learn more about the Dollar General Literacy Foundation, visit www.dgliteracy.org. McKinney is, pound for pound, the most effective agency in America, with a consistent 15-year record of outpunching its weight at the Effie Awards since the agency began entering in 2003. Cannes, The One Show, D&AD, ANDY, CLIO and The Webby Awards have also recognized McKinney’s creativity. Most recently, the agency won a Graphite Pencil at the D&AD’s Impact Awards, which recognize the best global work in social good, sustainable and ethical advertising. McKinney’s clients include Sherwin-Williams, CarMax, Samsung, ESPN, DuPont, Crocs, Norwegian Air and Marpac. The agency also does pro bono work for Urban Ministries of Durham and the Ad Council/Dollar General Literacy Foundation’s No One Gets a Diploma Alone campaign. McKinney is headquartered in Durham, North Carolina, with offices in New York City, and is part of leading global communications network Cheil Worldwide. Visit mckinney.com to learn more and follow McKinney on Twitter, Facebook, and LinkedIn.